David A. 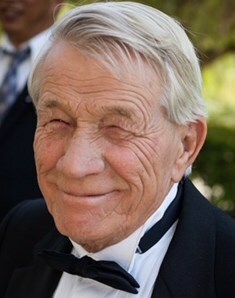 "Butch" Dyson, 73, of San Marcos passed away on January 4, 2018. He is survived by his wife Lyna, son Bryan & wife Laurie, daughter DeAnna & husband Margarito and four wonderful grandchildren Brianna, Danielle, Casandra & Alexander. He was the kind of person that would give you the shirt off his back even if you didn’t ask for it, but he saw you needed it. He will be missed by all and never forgotten by any. Funeral service for David will be held on Monday, January 22nd at 12noon at the Bonham Bros & Stewart Mortuary Chapel in Ramona. He will be laid to rest following the service at 3pm at Miramar National Cemetery in San Diego.